I gave this book 3 stars because it tells you about teamwork, like how Olivia helped Ella baking cakes but still if the cakes turned out to be salty instead sweet but it still has a note about teamwork. I loved this book and a popcorn recipe. Especially the chocolate in it. I love Craft Books!!!! Charlotte and Mia grant a girl called Ruby’s wish. Charlotte and Mia are training to become secret princess. 7 New Non Fiction full of taste sensations, life hacks and travel destinations. Hey Kids! Check out the latest new non fiction in the junior collection. Jam packed full of tasty sensations, life hacks and travel destinations. Life hacks for kids comes in the form of this fantastic book based on the Life hacks for kids YouTube show. This book is jam packed full of unique craft projects that have been seen, including feather earrings, melted crayon art, a headband holder, and indoor s’mores, and includes questions answered by Sunny. Ideal for children’s parties and sleepovers. Love the ideas for pet treats and the cool colorful cotton swab bouquet. The Big Book of How provides answers to a diverse collection of over one thousand commonly asked questions, covering such areas as animals, buildings, transportation, food, the human body, and going green. Planning on an overseas trip in the new year? Check out the latest editions from Lonely Planet Kids series that can assist you with your travel plans. “Here’s a book about London that’s seriously streetwise! Let Marco and Amelia, our Lonely Planet explorers, take you off the tourist trail and guide you on a journey through London that you’ll never forget. This book is perfect for anyone who has been to London, plans to go there or is just interested in finding out more about this amazing city! Discover London’s best-kept secrets, amazing stories and loads of other cool stuff from the comfort of your own home or while visiting the city! But, you don’t have to be a visitor or armchair traveller to enjoy this– Londoners are sure to learn new things about their very own city too! Find out how an old parrot hit the headlines, where you can purchase a tin of panic or some tasty brain jam, what the weirdest item ever left on a bus was and lots more! For readers ages 8 and up.”– Amazon.com. Features colourful themed trails, from history and culture to food and nature, that reveal amazing facts and intriguing tales that kids won’t find on the tourist routes or inside the average guidebook. We’ll show them where to find haunted pubs, ancient Aboriginal art, the best surfing beaches, and lots more! Join Lonely Planet explorers Marco and Amelia as they hunt for more secrets, stories and surprises in another of the world’s great cities. It’s Tokyo like you’re never seen before! Check out all of Tokyo’s best kept secrets including where you can bathe in chocolate, climb Japan’s tallest tower and see human-looking robots and lots more! Twenty-three original songs by children’s author and songwriter Julia Donaldson. My first cookie & cake decorating book : 35 techniques and recipes for children aged 7-plus. 35 step-by-step cookie and cake decorating projects for children aged 7-plus. School is almost finished and Christmas is just about here. 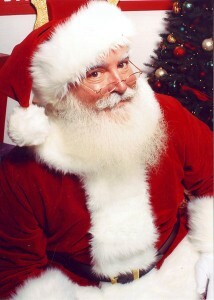 Its time to think of all that Christmas stuff you need to do before the man in the big red suit arrives. First of all, have you sent your Christmas letter to Santa? I’m sure you have plenty of things on your wish list. Next you have to think about what gifts you can make for your family and friends. Don’t forget that you can do some Christmas baking. Everyone loves baking! I think the Not-so Frosty the Snowman would be a big hit! After that you could spend some time playing fun Christmas games. 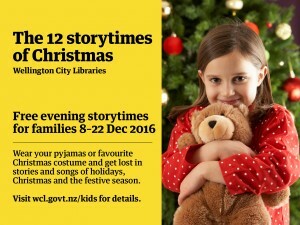 And last but not least make sure you come along to The 12 Storytimes of Christmas at your local library. 6 New Non Fiction to cook up a storm! Grab hold of these new non fiction books during the school holidays start so you can cook up a storm, whether it is in your own kitchen or backyard. Want to unleash you inner gourmet superhero? Have no fear, we have just the book for you. The ultimate guide to being a superhero is packed with recipes, manoeuvres, and gadgets for every aspiring superhero. Is sure to delight every superchild, every fan of the classic comic book genre, and every parent looking for great party ideas. Recipes include: Kryptonite Jell-O Secret Identity Sandwiches Sidekick Salad Kapow! Cupcakes Super Power Punch And much more! The great outdoors is nature’s own science lab and you can find lots if fun experiments just outside your back door. This book, complete with 52 fun science activities can bring your own personal outdoor science lab to life. Great for families to do together where they can anything and everything about science while enjoying the sights and scenes of the great outdoors. Great for ages 7+. Want to get on the clean eating path? This irresistible cookbook can help empower children to take charge of their own nutrition help you. Also full of 60 appealing (and healthy) recipes, and cool facts, such as dehydration causes you brain to shrink. Hmmm, makes you want to reach over for that water bottle. This is your chance to discover who is hiding in the wild and the secret world of animal camouflage. Shine a light behind the page and see… a world filled with great surprises in the animal kingdom. Calling all fashion rebels! We finally have a book that can help you bring out your innovative fashion creativity and where you can break the rules! Buried deep within the pages, is information female designers and icons, such as Coco Chanel, Marie Antoinette and Katharine Hepburn who treated fashion as an act of fearless creativity, set their standards as to what they would wear rather than follow trends ad as a result changed the fashion industry, as well as the world forever! This book teaches kids to cook and think like a chef, with 100 delicious recipes, essential techniques, insider tips, fun facts, and more. A must have read for the enthusiastic, budding chef! 6 new non fiction staring a blue whale, issac newton, angry birds and a special guest called cupcake. The Science Book is an inventive visual take on astronomy, biology, chemistry, geology, and physics. With eye-catching artwork, step-by-step diagrams, and illustrations that break down complicated ideas into manageable concepts, The Science Book will have readers conversant in genetic engineering, black holes, and global warming in no time. Along the way are found mini-biographies of the most well-known scientists, and a glossary of helpful scientific terms. A picture book all about blue whales, who could ask for more. This book is one a word – gorgeous. It is full of relatable facts from every day life that help to make the size and habits of the blue whale easily comprehensible and engaging. Especially great for a younger audience. Read all about the life of Issac Newton, the man who discovered gravity when an apple fell to the ground and came up with the three basic ideas that are applied to the physics of most motion. Custom confections : delicious desserts you can create and enjoy! Feast your eyes on a book that you can sink your teeth into. Mmmm, custom confections. All the delicious deserts that you can create and enjoy! This book contains step by step instructions and photos on making all the delicious sweet treats known to man from red velvet cookies to tiramisu. A great book to have on hand for your next high tea or bake sale. Great for ages 9 to 13 years. Want to know the answers to hundreds of the world’s most fascinating questions? Then check out this book and discover over 300 information packed pages that will take you through everything, including the world, the human body, history and science and technology. Whether you are looking up information for a project or coursework or out of interest, Tell Me Everything has all the answers. Angry Birds Friendship bracelets presents instructions for creating over fifty woven friendship bracelet patterns based on the personalities of the different Angry Bird characters. Also check out Bake Sale. A junior comic about a cupcake called… Cupcake, who runs a successful bakery with his best friend, Eggplant, but dreams of going abroad to meet his idol, Turkish Delight, who is the most famous pastry chef in the world. Here’s something to do over the school holidays – get baking! Are you looking for something fun to do over the holidays, then check out this delicious book. Bake up surprises in cupcakes and cookies. Create custom desserts and decorate all kinds of creative confectionery to impress your family and friends. There are forty simple and fun recipes in this book with step-by step instructions and photos. Try out the Red Velvet Cookies or the Molten Caramel Cake. YUM – my mouth is watering!